Part of standard office operations is printing out important documents and other paperwork. While it’s true that you can do this on your own office printer, outsourcing your printing needs is far easier and a more cost-effective solution if you require a huge amount of printouts. Some of these may also be well beyond the capabilities of your printer, so to be on the safe side you should hand them over to the experts. Here are some materials that you’re better off outsourcing for greater efficiency. Growing businesses have a greater need to stand out than the established ones when it comes to their marketing campaigns. In order to achieve their goal, they need professional services for producing their printed materials. Hiring one and outsourcing promotional items such as fold-out business cards and freebies will ensure that your potential clients won’t see them as cheap. You’ll also be able to allocate company resources such as human resources and money to the actual marketing process and get better results from your campaign. As previously mentioned the main use for a printer in an office setting would be for printing vital business documents and common forms. More often than not, you’ll need multiple copies of these. 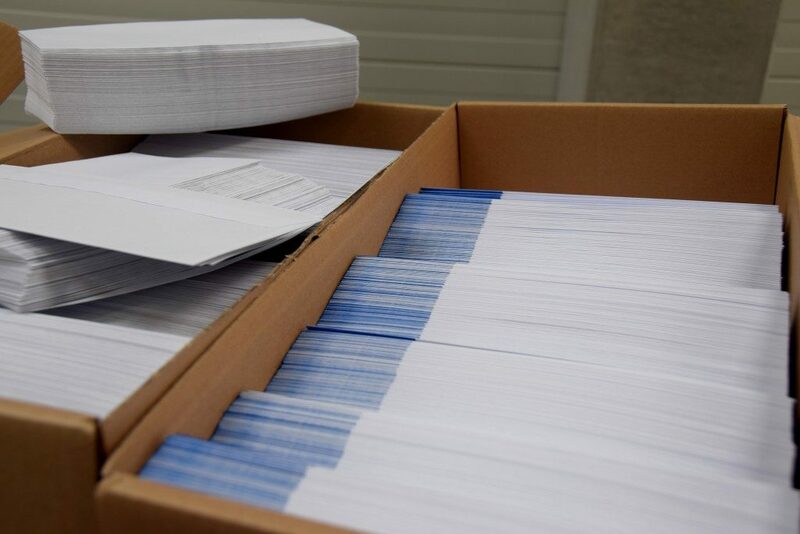 Instead of having to resort to printing them a little at a time in the office, letting another company produce them in bulk will save you time, effort and money. These are resources that play a big role in your business so you can’t afford to waste them. If you’re a company that deals with direct sales, then the chances are that you have to produce invoices as proofs of purchase to your customers. You might also need to send business mail to those who aren’t tech savvy or for those that need physical paperwork sent to them but are far away. Both of these can take a toll on your printer due to the frequency of sending these out so outsourcing them will be a far cheaper and less stressful solution. PowerPoint presentations alone won’t cut it if you’re going to make a business presentation, proposal, or even an annual report. You’ll need to produce hard copies for your catalogues, reports and other similar paperwork for your clientele to view, and these have to be in the best possible quality. For this reason alone, acquiring a printing company’s service for these materials can become the best course of action since this is one of the aspects of business where you shouldn’t be skimping on quality. As the owner of a small business, you need to be careful with decision-making since every aspect can make or break your company at this point. Outsourcing may not be an option that comes to your mind at first because of the cost, but the overall benefits you get makes it worth the money that you spend for it. All you have to do is to find the right printing company to help you out so you can focus on more important facets of the business.